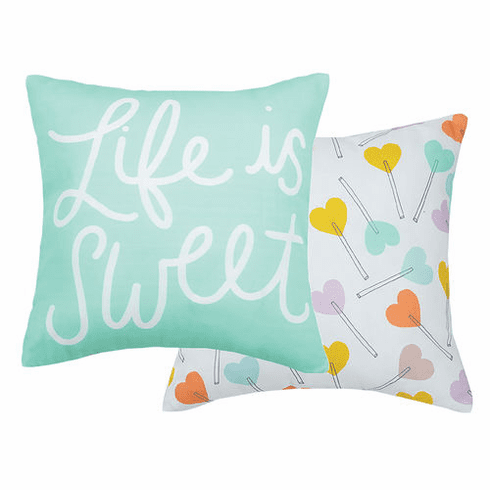 Home | Home Decor & Accessories That Bring Joy | Accent Pillows | LIFE IS SWEET REVERSIBLE PRINTED PILLOW, 24"SQ. Life is sweet, isn't it! Reversible printed pillow measures 24"sq and will bring a bit of sweetness and joy to your decorative home spaces.